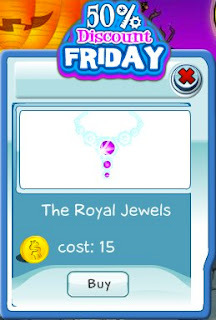 Today's 50% Discount Friday item is The Royal Jewels necklace. The necklace matches perfectly with the dresses on SecretBuilders. Now's the time to get this before the offer ends today.